A question that a lot of Nokia users owning a Symbian^3 devices have been asking for a while now is: “when will Symbian Belle be released for my phone?”. There have been several indications that the update is soon to be released, among otherthings recently leaked version of Symbian Belle have shown up not only for the Nokia N8 like in the past, but now also for C7 and E6. 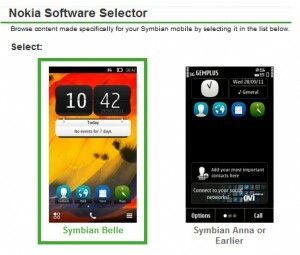 Nokia have also recently released devices with Symbian Belle pre-installed, as an example the Nokia 700. Now Nokia Store also gives a pretty strong sign that the wait might soon be over. If you visit the Nokia Store and on the top of the page select Set device, and choose Nokia N8 as your phone, you now get a second option asking if you are using Symbian Anna or earlier, or Symbian Belle. This addition is fairly new, and where probably added when the Nokia Store was updated recently. Nokia’s loudest smartphone on the market appears to have been silenced. 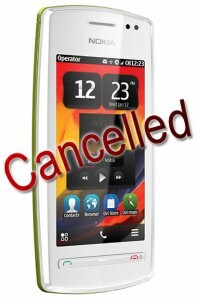 It seems Nokia have cancelled the Nokia 600, one of their latest Symbian Belle device announced in August. 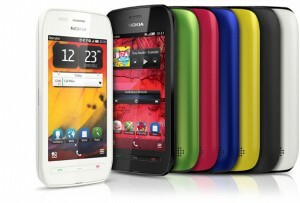 It was revealed at the same time as Nokia 700 and Nokia 701 and was presented as Nokia’s loudest smartphone in the market. Maybe it was a bit to loud, or it could be that there was some issues with the device. Not long after Nokia 600 was announced at Nokia’s Connection event in Singapore, a new device was presented, the Nokia 603. Could it be that they felt that the Nokia 603 was a better device and more ready to present to the market? What ever the reason, Nokia has removed almost all traces of the device. Everything from Nokia’s press pages and images, developer website, and even Youtube promotional videos have been been removed. The only trace left is a page at Nokia conversations from the time of its announcement. The new Nokia Lumia phones will be on display at the London Olympics 2012 site, from today where up to 750,000 people a week will be able to get hands-on with the handsets. Rumors have previously mentioned that Nokia and Microsoft was preparing for a massive PR campaign to promote Nokia’s new phones running Windows Phone, and this is probably just the beginning. Personally I feel that this is not a day to soon, since I haven’t seen a Nokia commercial anywhere in years. This surely must have been big contributor to the dropped sales that Nokia have experienced in recent years. Lumia – New Nokia smartphones running Windows Phone. 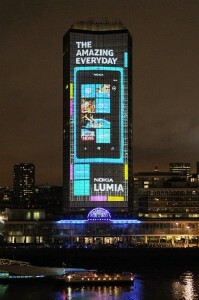 At Nokia World in London today Nokia revealed not only one, but two brand new Windows Phone devices. The stunningly beautiful Nokia Lumia 800, that brings content to life in a fun and easy way, and also the affordable Nokia Lumia 710 that brings the Lumia experience to more people around the world, with the same easy and fluent software functionality as her bigger sister. Nokia Lumia 800 shares the main design features of the gorgeous Nokia N9, but with some changes and additions. The bottom part of the 3.9″ screen is dedicated to the three standard buttons that is a familial feature of the Windows Phone operating system. This leaves a 3,7″ part of the screen left to be used by rest of the UI. On the right side of the phone there’s also an added hardware button, dedicated for the on-board 8 Megapixel camera. Unlike other devices running Windows Phone, on a Nokia phone you will of course get something extra. Among things, you get free Offline navigation, and also access to the brand new Nokia Music service. At Nokia World in London, Blanca Juti, Vice President of Product Marketing for Mobile Phones, in a passionate and inspiring key note speech showed that Nokia still cares about the developing markets. She introduced us to the new Asha family, containing 4 new phones, that she called her babies. In my opinion Blanca Juti held the most inspiring keynote speech at this event yet, and she proves Nokia care, not only about making money, but also about improving the life quality of their users. Traveling around the world, and meeting actual customers and thinking about their needs Nokia have come up with high quality, stylish devices that provide the best access to social networks, the Internet and information. Placing these phones at a great price point it will offer the best overall experience and value proposition for the next billion mobile phone users. These consumers want access to innovations such as easy-to-use dual-SIM, local services and content, and third-party apps, all with a superior user experience for which Nokia mobile phones are known. And why shouldn’t all people in the world have access to these types of communication and technologies. Asha, derived from Hindi – meaning ‘hope’, signifies Nokia’s focus on positive user experiences and connecting millions of people to new opportunities that help them reach their aspirations. 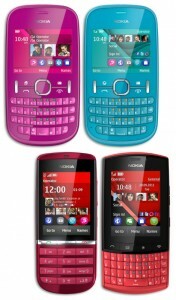 The Asha Family consists of Nokia Asha 200, 201, 300 and 303. Ever since Nokia launched their site Nokia Maps 3D Beta, I have been thinking, when will this technology be available in our phones? When I’ve mentioned this to others they have said, “well that will probably happen some day, but years from now”. Time flies when your having fun, and ever since Nokia started to focus on their acquired asset Navteq, more and more innovative things have started to show up at the Nokia Maps site. 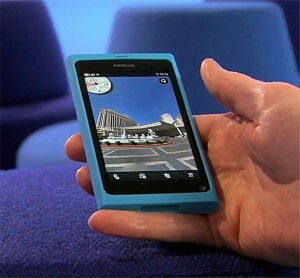 Latest technology to emerge is Nokia City Scene now available from Nokia Beta Labs. It doesn’t give you full 3D views of the world, but it gives impressive panoramic street views, right in your phone. So maybe a full 3D map of the world in your mobile isn’t that far away after all? “We see it as a natural extension of maps that brings new ways of interacting with location: finding what a building contains with a click, or showing information on building facades including any checked-in friends that might be inside. 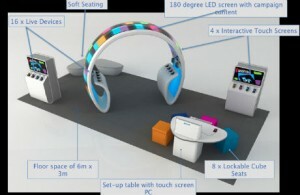 The 3D visual environment aims to be more natural than conventional ways of displaying location on phones. Seeing how places look from the street helps you remember if you’ve been there, or recognize them when you arrive” say Tuomas from the Nokia City Scene team. Today at a media event in Turkey, Nokia introduced a new Symbian smartphone, the Nokia 603. A colorful device powered by a 1GHz processor, sporting NFC, a seamless smooth design and running Symbian Belle. The interface in Symbian Belle has been greatly improved since previous version, Symbian Anna, and gives a modern feeling offering up to six home screens and extended customization. Widgets can now have different sizes and can be placed freely on one of the startscreens, unlike the more locked down feel of its predecessor. The browser should now also be four times faster then before, and offers enhanced compatibility with modern web standards like HTML5. Latest version of Maps allows free, turn-by-turn navigation in both standard and Drive views for in-car use. Nokia about to partner up with Monster? According to some recently leaked marketing graphics, Nokia may soon be unveiling a new partnership with Monster Cable introducing some new co-branded audio gear. This is not the first time Monster teams up with a mobile manufacturer, and this might be part of the big launch planned for the upcoming Windows based Nokia phones. 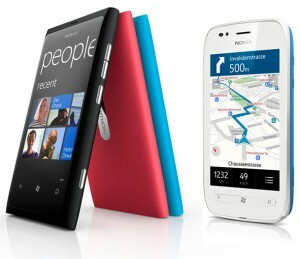 Most likely the first Windows phones from Nokia will be announced at Nokia World 2011 in October. 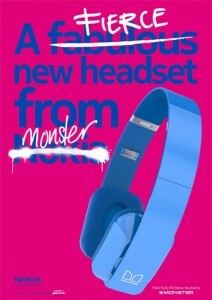 The leaked marketing images shows a pair of over-the-ear headphones in a light blue color, on a sharp magenta background. The headphones branded by the Monster logo is apparently going to be “Fierce”, and its going to be very interesting how many, and what types of accessories this possible partnership will lead to. 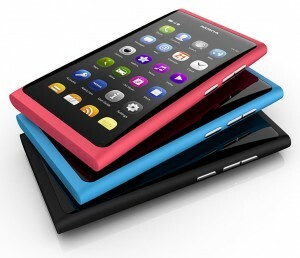 The Nokia N9 have now started shipping to customers and stores. Pre-orders for the Nokia N9 started in many countries recently, and since the launch the device have created a huge buzz and positive feedback from both Nokia fans, and people that in recent years been more negative towards Nokia’s products.